We provide accurate and reliable English Spanish translations within 24 hours. Whatever your business is, we can help you. Current census estimates the number of Hispanics in the U.S. to be 50 million -or 15% of the total population. By the year 2050, the number is expected to be 30% of the total population. Want to know more about us and our services? We are in the market since 1999 and have translated thousands of texts and millions of words every year since then. We serve the Chapel Hill-Raleigh-Durham business and educational communities which comprise dozens of biotech companies and recognized educational institutions such as Duke University, University of North Carolina in Chapel Hill, Wake Forest University, and North Carolina Sate University. Our list of clients includes businesses from all across the Unites Sates and in several Latin American countries including Argentina, Chile, Uruguay, Venezuela, Ecuador, and Mexico. We know how important a fast turnaround is for you and we work accordingly. English Spanish translations of 1,000 words or fewer are typically covered by our 24 hours or free policy. The goal of the present work was to examine the effects of bilingualism on adults' ability to resolve cross-linguistic inconsistencies in orthography-to-phonology mappings during novel-word learning. Spaniards, Gypsies, and Latin Americans. A review of the empirical literature at the intersection of bilingualism and pediatric communication disorders. Learning to read is one of the most important cognitive milestones in the human social environment. Perception of vowel inherent spectral change. A perspective article comments on Academic Language and the Challenge of Reading for Learning About Science. The language and cultural barriers facing medical patients with limited English language proficiency pose tremendous challenges and risks. This study examines pragmatic differentiation in early trilingual development through a longitudinal analysis of language choice in a developing Tagalog-Spanish-English trilingual child. A functional magnetic resonance imaging investigation of syntactic processing and a possible "neural signature" of bilingualism. We offer accurate and reliable English Spanish translations within 24 hours. Our promise to you is to translate your text into Spanish in an accurate manner while at the same time we will give it a native speaker feel. We are a Spanish translation company specialized in medical translations but we also provide a wide variety of English to Spanish Translations. 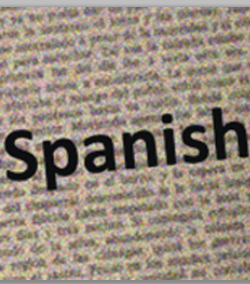 Please see examples of Spanish book translations, legal Spanish translations, and other Spanish translation services. 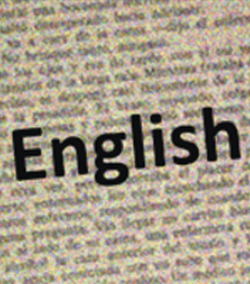 Need professional English to Spanish translation? Tired of trying translation software? Why should you hire our company for your translation needs? Expert writers, specialists in various different areas, and medical science scientists. Our professionals are Spanish or English native speakers, who have expertise in a wide variety of areas. We have the flexibility to meet your needs for either large or small content projects, and we choose the writer/translator whose expertise and interests best meets your needs. Experience. We have performed highly specialized translations and additional Spanish services since 1999. 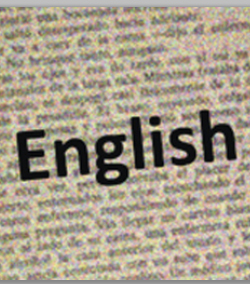 Translations and articles vary in writing style and subject according to each client's needs. Each translation or article is carefully edited by our group of professional editors. We have done medical news, medical reports, scientific reports and news, product reviews, buying guides, travel guides, how-to articles, glossaries, brand overviews, websites, fashion/lifestyle tips, humorous pieces, and other types of articles and translations. Fast Turnaround. Most short projects of 1,000 words are finished in less than 24 hours. For larger writing or translations projects, contact us for a time estimate. Volume discounts. We offer discounts for orders of over 3,000 words or for standing monthly orders. Need a company that provides a fast translating service? Any good company specialized in English Spanish translations can give you a quick turnaround time, but we guarantee you will have your finished text within 24 hours. We are not aware of any other Spanish translating service offering this. Not many other companies can promise such a quick turnaround time but we can do it thanks to our in-house translators specialized in different areas. The Spanish speaking population is rapidly growing in the United States every day. We can help you reach a big part of a market you might be missing due to a lack of proper advertisement in Spanish. Immigrants from Latin America are getting jobs and making money. You can use our service to help them find your business and your products by translating your website and promotional articles. Increase the visibility of your website by translating it. We can help you not only with the language translation of your website but also with your optimization needs in Spanish. The optimization process will help you get your site indexed in good positions by the most important engines and directories. 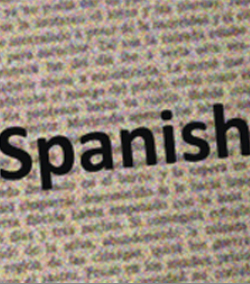 You can double the exposure of your site by translating it from English to Spanish. Click here to see our own website in Spanish as an example. We can translate both texts and images for you. Let us start with your home page now and see how the extra page helps you increase the visibility of your business and reach the Spanish speaking world. ES-Translations is a company that provides professional English Spanish translations, translating English to Spanish for you directly. Our translations services include legal, technical, and medical translations. We offer different types of translation services, including Spanish book translation, Spanish website translation, and Spanish medical translation. 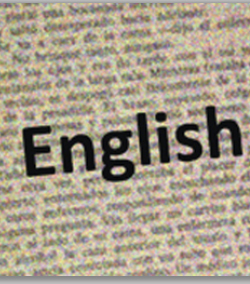 All our English to Spanish services are performed by a professional translator and edited by our linguistic experts. Why Hire our Company for Medical Translations?